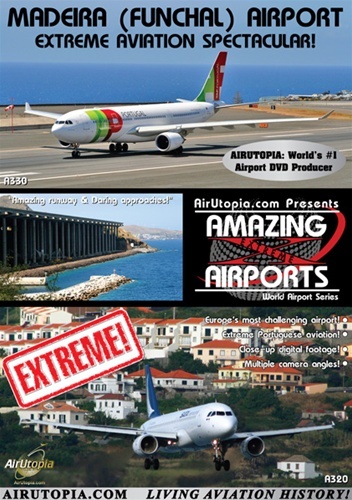 Madeira Funchal Airport - Extreme Aviation Spectacular! Welcome to world famous Madeira/ Funchal Airport for some EXTREME Portuguese aviation action at what has been referred to as the "Kai Tak of Europe". Witness an incredible variety of European airlines taking on the challenging cross-wind approaches at this airport that has won worldwide accolades for its architectural excellence.